There are a lot of clever computer engineers and IT support technicians around and at Dragon IS we have our fair share. What we also have, that many don’t seem to, is a ‘can do’ attitude and a focus on your IT needs as our customer. We will ensure that you have the computer support and the IT support contract that’s appropriate for your business and your needs. And it’s an obligation we take seriously. Not everybody needs the latest gadget or a zillion gigabit system, but everybody needs a computer system that does what it’s supposed to do, when it’s supposed to do it and support when they need it. That’s what we deliver. The key to successful Managed IT support service contracts is ensuring that you get the right support for your business needs. Your IT system will be monitored remotely so that when issues occur – and they will – we’ll know about it before you do and can make sure it doesn’t become a problem. If it’s necessary for one of our engineers to visit your premises, they will be knowledgeable, polite and always able to help you. It’s all about giving you the proactive IT support you need to keep your business running at optimum. Our engineers have dozens of years of experience. They go through vigorous annual certified training to make sure they keep up with the latest technology so that you can depend on them. As a vendor independent company we can source the high quality technology at competitive prices from any accredited company, which means you’ll never be limited by brand or by price. You’ll find that we specialise in design, implementation, IT support and maintenance of every aspect of business IT systems from data centre design, anti-virus, firewall and VPN security to end user support you can be positive that any IT issue, need or want will be taken care of. Why Choose Dragon IS as Your IT Support Partner? Your IT systems should be robust enough and appropriate to help you day in and day out. It is our objective to make sure your IT supports your aims and objectives, not hinders them. Increase revenue, improve efficiency, reduce costs. Fully Outsourced IT Support. Available via our helpdesk or over email 24/7. Technology solutions to help you achieve business goals. 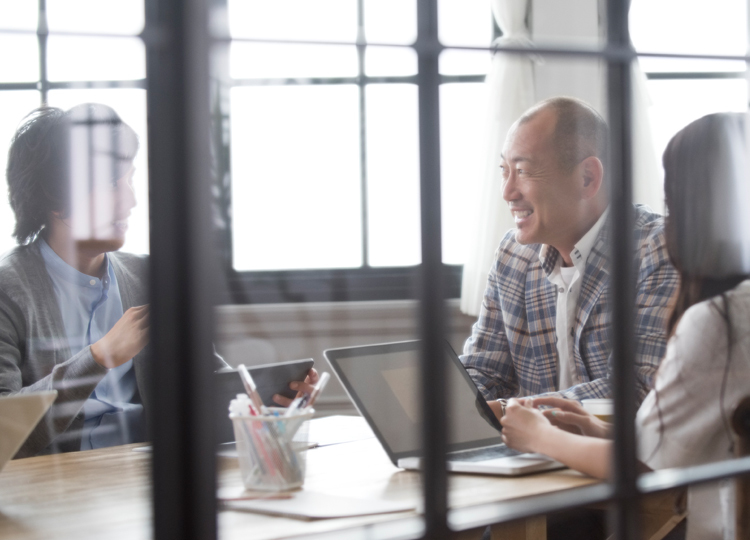 Ensuring your IT meets your business roadmap for the upcoming years. Dragon IS was founded by Lionel Naidoo and Simon Wright. Lionel and Simon’s mission was to form an IT consultancy and support service that would deliver the highest quality IT and technology services to small and medium sized businesses looking for IT support that serves them well into the future and enhances their business performance. Over recent years, Dragon IS have built a forward-thinking IT company that provides proactive IT support and top-notch customer service to our clients in Milton Keynes and the surrounding areas; offering them new, innovative and easy-to-implement solutions that are relevant for their business, and which will make their day-to-day lives that little bit simpler. Whether you need remote monitoring and remote IT support or it’s necessary to have a computer engineer visit you onsite, your IT support contract should reflect the needs of your business. It should be able to deliver all you need to keep your business running smoothly and with as little disruption as possible. What IT support contract does your business need to keep trading? What IT support contract do you need to make your life easier? What IT support contract will minimise disruption and get you up and running again when the inevitable happens? Answer these questions and we’ll ensure you get exactly what you, and your business, needs. 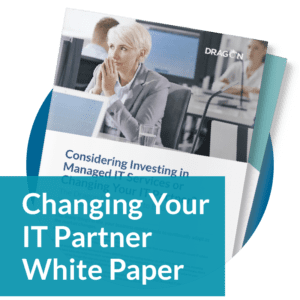 Our free white paper on choosing a managed IT service provider will help you answer these questions and guide you on your journey. Our community is very important to each and every one at Dragon IS. As a company we support our local football club, Newport Pagnell Town FC. We provide the team with the necessary IT hardware, software and support so they can improve their skills. Our equipment means they can transform raw video to useable footage for both training purposes and media. The videos of their training sessions and matches allow them to revisit situations, learn from them and develop their teams. NPTFC encourage, develop and promote local youth to participate in sport. To enjoy and compete at various levels, to respect and value team members. All these values underlie the business ethics of Dragon IS. Thinking of changing your IT support partner? Don’t make a decision until you’ve read our checklist of essential questions to help you choose the right IT company.